"How to Measure" for sizing. 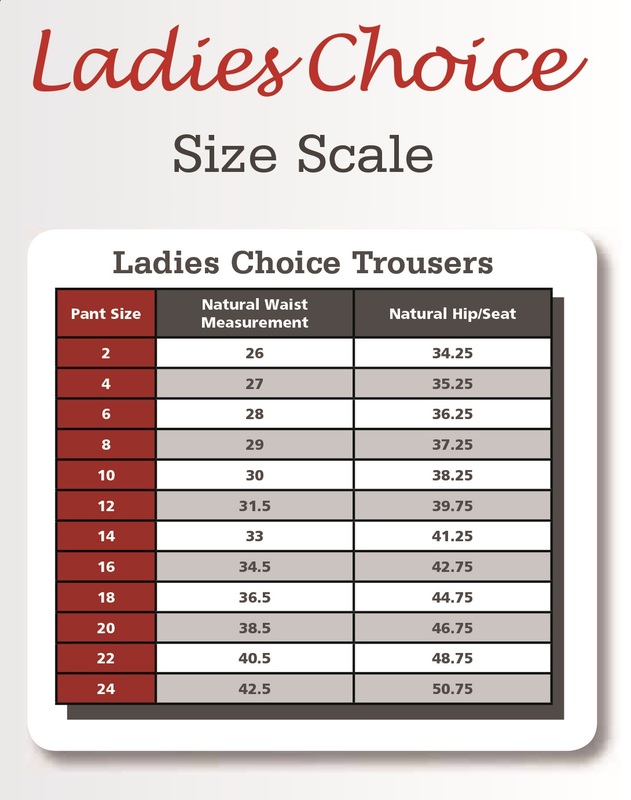 These pants deliver cool comfort and a great fit since they are now available in Elbeco®'s new Ladies Choice style. Made with Gabardine polyester, these Elbeco® ladies choice pants deliver cool comfort and a more stylish fit. Completely redesigned, with guidance from female public safety professionals every step of the way, they're made specifically for a woman's body. The new contoured elastic waistband allows the pant to sit atyour natural waist providing a comfortable personal fit. They easily accommodate many body types! The Gabardine weave polyester is enhanced with Nano Moisture Wicking technology for permanent moisture management and has built-in sunscreen up to SPF 40+, which also provides less color fading.